For every ten soap barcodes you turn in to us, you get a $10 gift certificate to use on our website or in person with our excellent employees and interns! 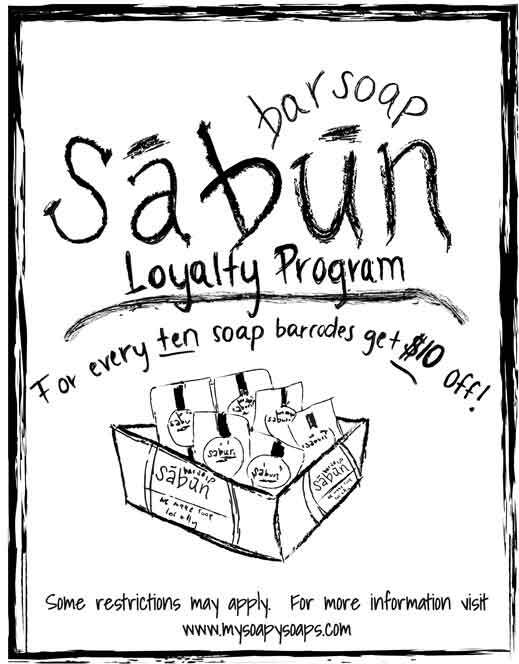 Save each one of your soap barcodes from Sabun branded soaps, mail them back to us with your name, phone number, and mailing address, and we will send you a $10.00 gift certificate good for any of our products either on our webpage or at any of our events with Soapy Soap Employees! Only soap barcodes can be used for the gift certificate, however you may absolutely purchase any of our other products with your gift certificate. 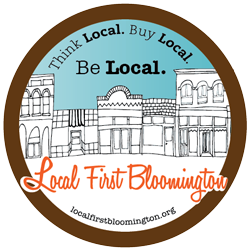 Additionally, you can bring your soap barcodes to any of our events to redeem your ten dollars of free products on the spot, or to trade in for a gift certificate to use later.